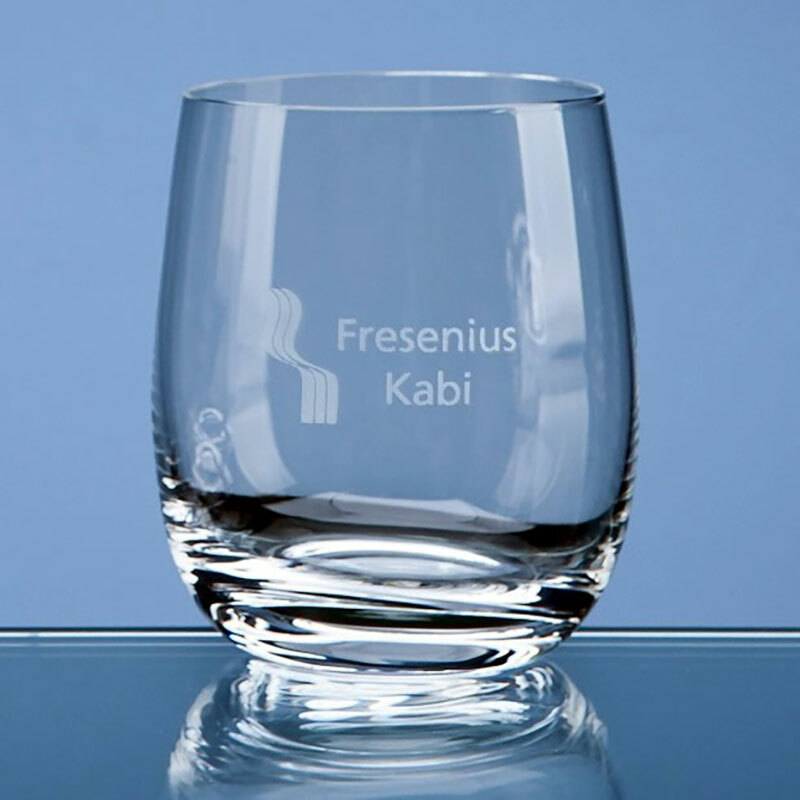 Elegant whisky glasses with gentle curves and 250ml capacity. These 'Roma' whisky tumblers provide a large area for engraving and are offered here with text and/or logo engraving options. An optional deluxe lined presentation box is available.